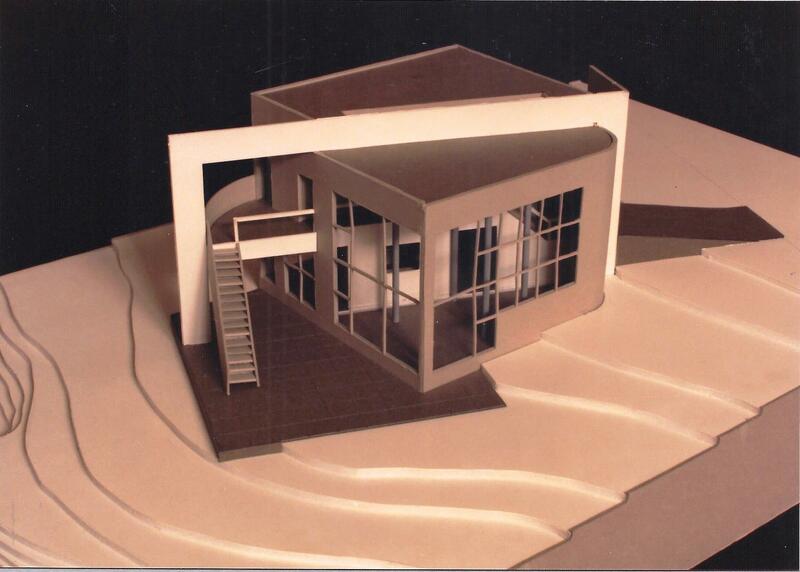 I love building models – it was a primary presentation element in school. We celebrate firsts, we mark them down in our collective and personal histories. It’s a good thing. I’ve been at this for the better part of my life in some fashion, so it’s hard to choose a first project. The story of my journey was graciously shared in a recent interview with Modelo in their Design Manifestos. I won’t repeat it. All I will say is somewhere in my 9th or 10th grade, I thought I was designing houses. I poured through them yesterday. They’re really not any good, but what is worse is I thought architecture was decoration hanging on program – an extruded plan with an artistic make over. Ugh. What characterizes the project above as a first is it was the first building that had the components and methods of a process still with me today. It was technically the first building I designed in school. My decision goes back to the Spring of 1987 at Kent State University where I was completing my first year of architecture school. I was technically a sophomore, but as a transfer student, I was a ‘first-year’ architecture student. The reason for this departure was the root of understanding a design process. I’m not vouching for the strength of the design – say what you will – it’s OK. Even the influences are obvious. Yet, this was the first time an idea was borne out of a series of conceptual ideas, abstract thinking, and a direct response to a specific site and program given by someone else. Furthermore, what may not be evident is in my earliest days is I was beginning to question the rules. 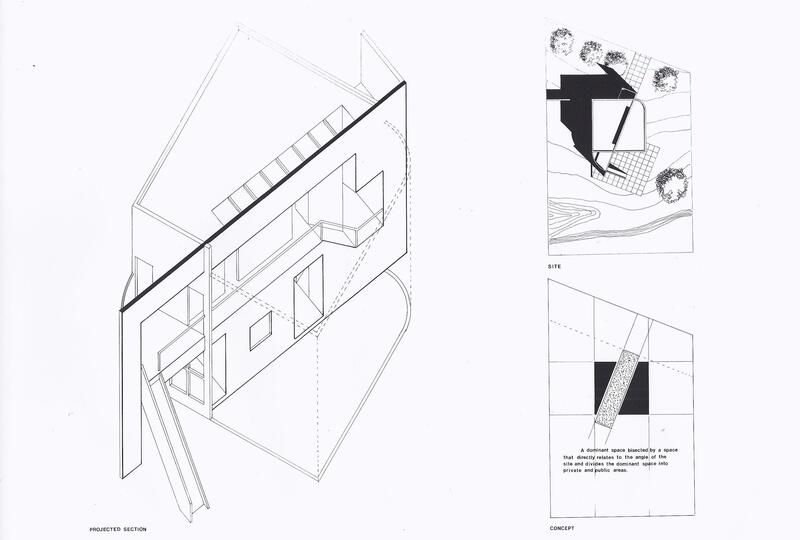 The assignment for the project was the house was to be a ‘single form’, not a series of complex volumes, planes or other compositional methods. This was part of the teaching method – it wasn’t a free-for-all. Most of the other students in the class had a platonic box, a literal single volume. For me the idea of a single ‘implied’ volume was my response to the arbitrary requirement, but the elements of the site and program demanded more than a single form. Artificial rules shouldn’t trump a responsive solution. This was a real breakout for me. I can look back and see an attempt to think critically even if the result was a bit clumsy. In other words, in school, the thinking was more important than the result. It wasn’t a willful effort to make something wacky for fashion’s sake. Neither was it an extrusion of a plan with some make-up. 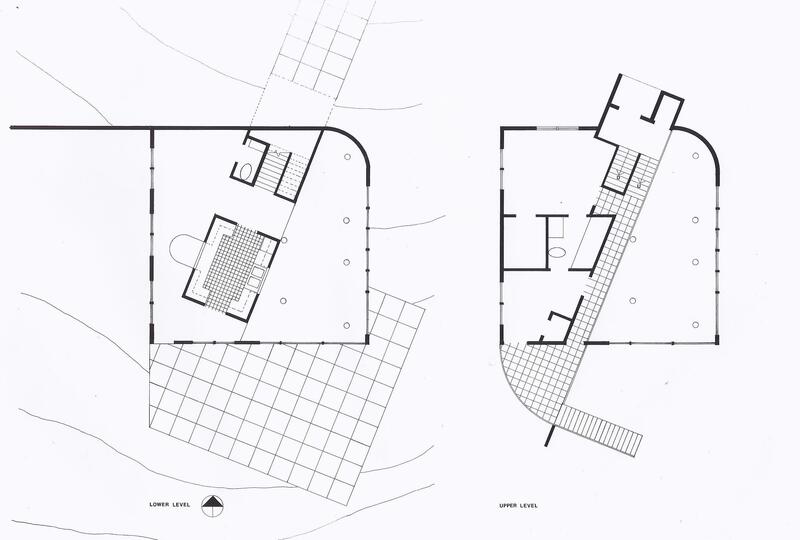 This was a first endeavor to respond, address and create architecture that attempted to answer the better questions. Fortunately, my instructor cheered me on and in fact hinted at a few ways to take it further. So to my ‘first’ design instructor in architecture school, I say thank you. Oh Lee, great first school project and that is a great line, “discipline was taught by relentless hatching”, I am not fond of cross-hatching but my two boys seem to really enjoy it and have done all these etchings in art class and I believe it must have that effect on them, lol!!! Thanks Michele. I loathe cross hatching that way, but I do enjoy stippling and hatching loosely with pencil. We so often want to cheat the process to get to the prize. 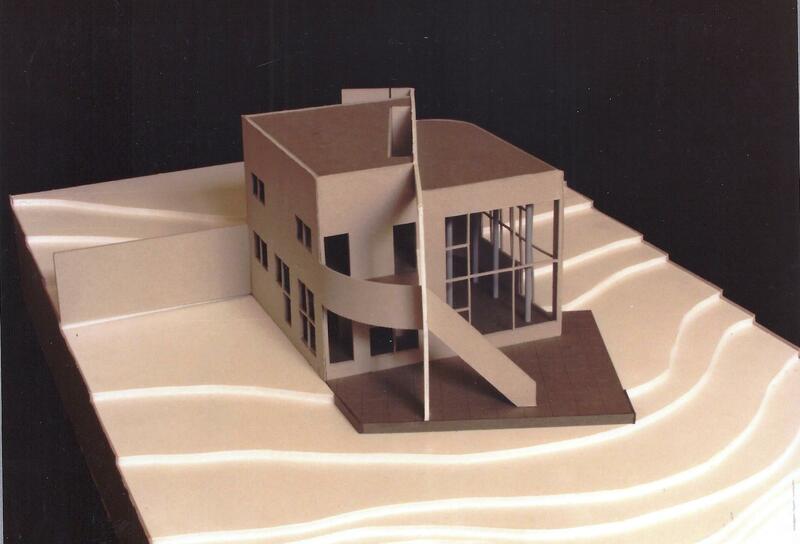 I think you were channeling Richard Meier in this project … which must mean that we were in college around the same time. 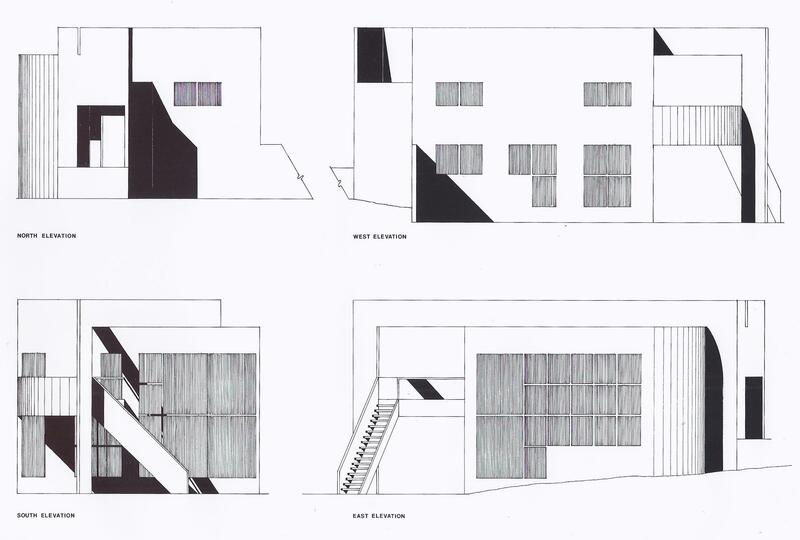 Terrific model and drawings – I’m sure your happy to still have them (at least in digital format). Craft is clearly something that mattered to you as it is evident in your work now as it was 20-(mumble mumble) years ago while you were in school.